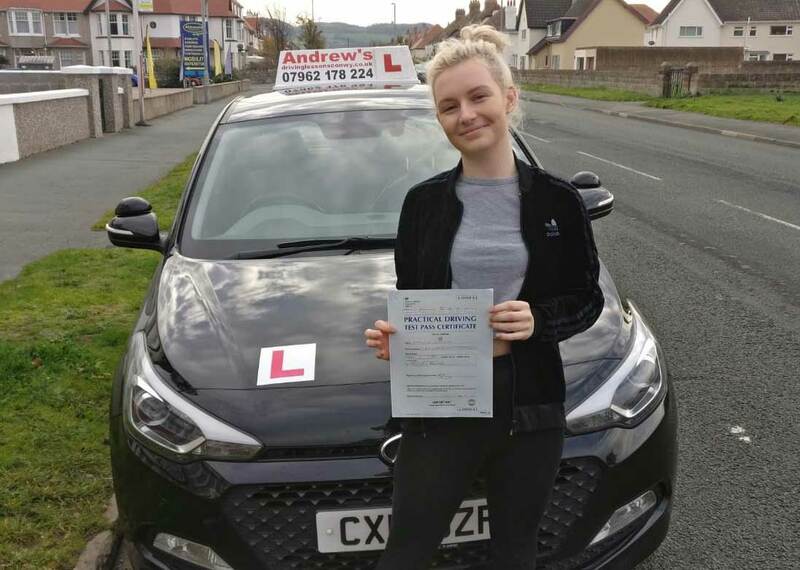 Maddie Lancaster passed her driving test first time today 5th November 2018 at Bangor driving test centre. 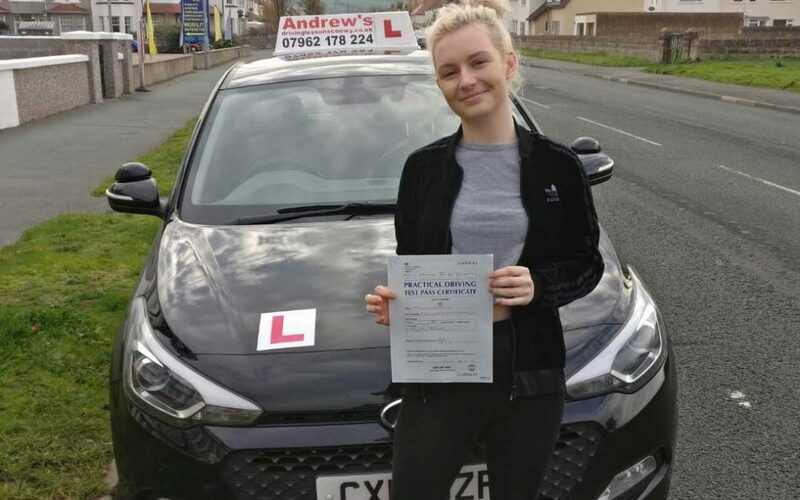 Maddie from Llandudno had a terrific drive this morning passed after a course of driving lessons with Naz. For driving lessons or Ordit approved driving instructor training in North wales contact Andrew’s Driving school. Book your lessons with us and pass first time. Take your driving test in Bangor driving test centre.